Developed for luxury tailor brand Spencer Hart. There are 4 reviews of Spencer Hart Palm Springs. I like Palm Springs : fines citrus notes with light touches of spicy and smoked wood. It's sophisticated with aldehydes who give a real vintage charm. Released in 2014 (not 2012) for the now defunct clothing company Spencer Hart, who listed as one of their celebrity part-owners one Robbie Williams. Is there a clothing company this guy can't ruin?! 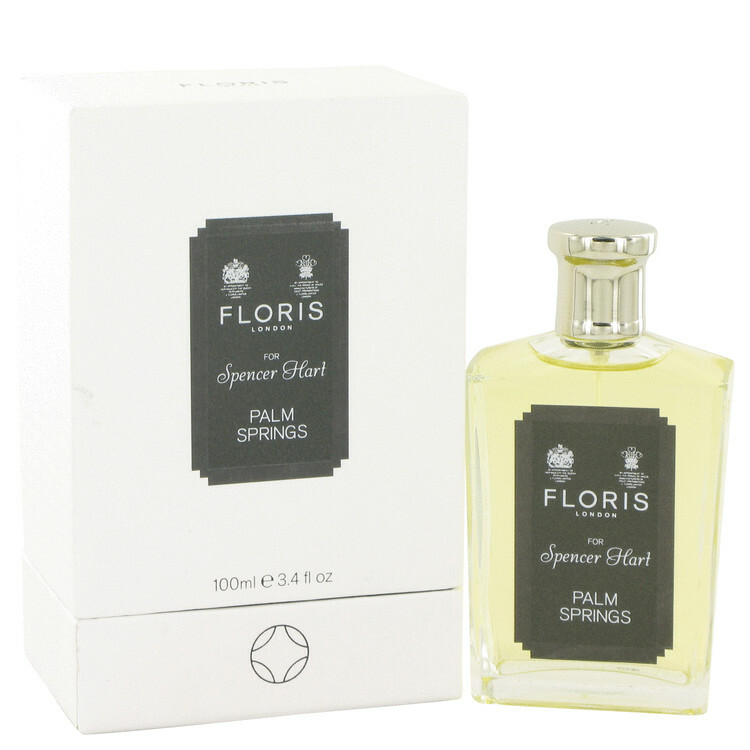 But I imagine that Floris now wish to get rid of their stock to minimise those associations, thus explaining the now better than half price sale on this fragrance as I write. Anyway, the scent: for reference, think Ambre Sultan (just not nearly as good), Jaipur Homme, Sartorial, and the proprietary No. 89. It opens with some bitter citrus and aromatics. The usual Floris characteristic is in play - light spraying allows easy discernment of the accords, whereas heavy spraying makes everything more confused and denser. The clove comes through heavily and tends to dominate. This is a good scent overall, but not evocative of the Rat Pack to me. In my view, if you're going to list these notes, then many of them have to do rather more work than they're put to here. Below average performance. Probably no-one will mourn the passing of this one. Smokey clove with a soft sweet amber hidden in the background. This is a great fragrance. Absolutely love this. I believe it is a modern version of No.89 and it just works. There are no member images of Spencer Hart Palm Springs yet. Why not be the first?